Oxford, Time to challenge Cowley Road CCTV trial! Contact oxford@no-cctv.org.uk to get involved. From 2007 No CCTV campaigned against cameras on the Cowley Road East Oxford. The original plan was for eight permanent fixed cameras. After months of campaigning a "compromise" of three wireless/removable cameras for a trial period was chosen by the council (No CCTV did not agree to this proposal). In January 2009 three CCTV cameras were installed along the Cowley Road as part of a two year trial. That trial is now coming to an end and we need campaigners in Oxford to help us challenge the trial and get the cameras taken down. The trial must be challenged. If it is not the council will expand the surveillance along the Cowley Road. It is unlikely that the council will respond correctly to the trial even if it shows that CCTV had no effect at all. In 2009 the council rolled out CCTV cameras in tower blocks across Oxford despite a trial in Foresters Tower that showed that the cameras were of no use (see No CCTV's article 'CCTV in tower blocks - the lies reach new heights'). There have been extensive studies of CCTV all over the world that show that CCTV is not an effective crime fighting tool. The Cowley Road trial if conducted correctly will have come to the same conclusion. The Campbell Collaboration study 'Effects of Closed Circuit Television Surveillance on Crime' (download here) conducted by Brandon C. Welsh and David P. Farrington found that CCTV cameras in public spaces such as those on the Cowley Road "did not have a significant effect on crime". Welsh and Farrington obtained 92 CCTV evaluations, only 44 met the criteria for inclusion in their study and 41 of the 44 studies could be used in the meta-analysis. Welsh and Farrington only included studies that followed a strict methodology. In March 2009 a Freedom of Information request was made to Oxford City Council asking for the "Methodology used in CCTV trial on Cowley Road" (see the full request at the WhatDoTheyKnow website). When asked "What independent assessment will there be of the trial?" Oxford City council replied that the "assessment will be undertaken by Oxford City Council in partnership with Thames Valley Police". They were not able to supply details of control areas being used to asses the trial. The council said that "crime and anti-social behaviour statistics, camera usage data and incidents involving CCTV by incident type" were being collected for the trial. In July of last year the Oxford Mail newspaper reported that since May 2010 businesses on the Cowley Road were trialling a new Radio Link scheme that "allows retailers and licencees to alert police and CCTV operators to any trouble" ('Traders get radio link to fight crime', oxford Mail, 26th July 2010 - http://www.oxfordmail.co.uk/news/8291730.Traders_get_radio_link_to_fight_crime/). It was reported that "Businesses pay approximately £1 a day" for the link. Is this an appropriate measure to trial during a CCTV trial? How will this be factored into the CCTV trial results? 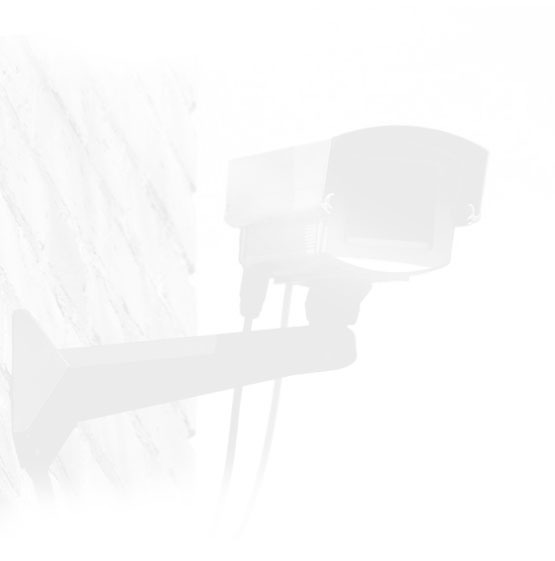 In November 2007 No CCTV presented a report to the East Area parliament urging them to look at the paltry evidence of cctv's effectiveness and to consider the dangers of cctv to local residents. Decisions by elected representatives should be evidence based and can have far reaching implications. Download the report here. In the report we told councillors that to conduct a fair trial they should bring in independent assessors. Our advice was ignored. If you are an Oxford resident, particularly if you live in East Oxford and you care about this issue then please get in touch at oxford@no-cctv.org.uk. Write to the councillor Sajjad-Hussain Malik (cllrsmalik@oxford.gov.uk, the City Executive Board Member for Safer Communities, expressing your concerns. Ask why large sums of public money are being poured into a technology proven to be ineffective other than in eroding the privacy of law abiding citizens and encouraging an environment of distrust. The Council should be required to prove unequivocally their claims about state surveillance before they are permitted to spend any public money in this way. To date they have not provided a shred of substantive evidence supporting their claims. We need to act NOW to stop the cameras.